Article written by Bike Exif about CRD34 a Cafe Racer Kawasaki. 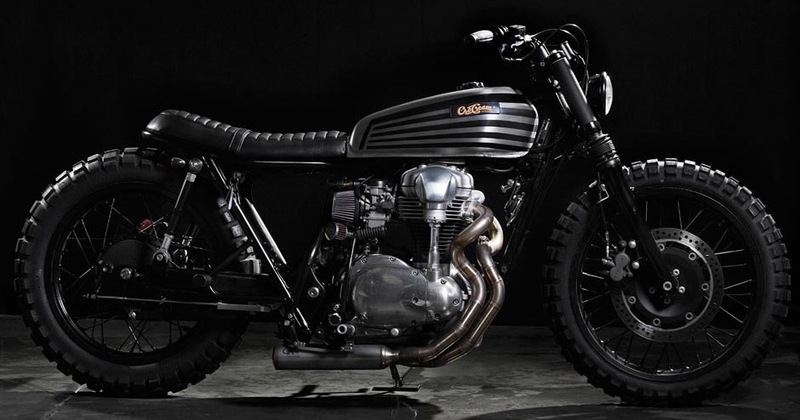 The Kawasaki W650 is a motorcycle just begging to be customized. Production ended in 2008, but it’s easy to find one on the secondhand market, prices are reasonable, and custom parts are plentiful. 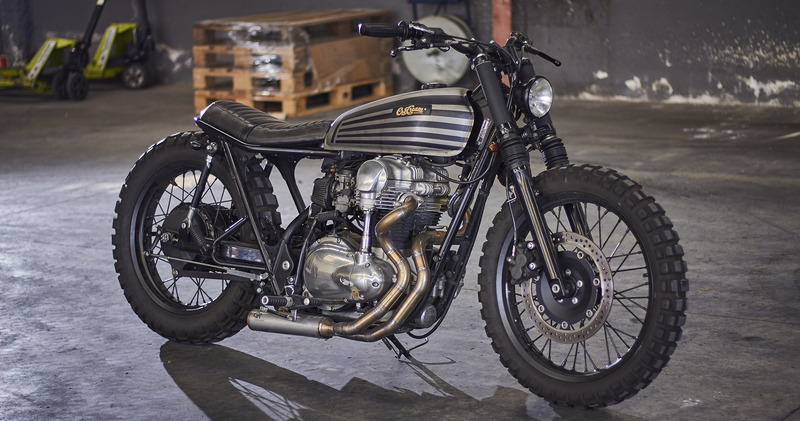 There are a lot of top-dollar W650 builds out there, yet this 2003 model shows what can be done with a little ingenuity—plus the tank from an old Honda CG125. It’s the work of Cafe Racer Dreams of Spain, who have fitted a plush custom seat unit to make up for the ‘rigid’ rear suspension—which is a pair of modified steering rods from a 1973 Ford Gran Torino. The Kawasaki W650 has ample power delivery for most riders, so in this case mods are restricted to the breathing. K&N filters handle the intake, and the stubby exhaust system is a custom-fabricated item built to CRD’s design. The footpegs are Tarozzi, and the front suspension has been dropped a little to lower the overall stance of the bike. Stiffer springs compensate for the slightly reduced travel. The battery now hides in a discreet box under the swingarm, and the simplified electrics are wired up to Motogadget switchgear and a compact headlight of CRD’s own design. The ignition has been moved to the right-hand side of the chassis, giving the Renthal Ultra Low bars an even cleaner look. The tires are Continental TKC 80s, which despite the semi-knobbly looks are renowned for their predictable handling on asphalt. It’s a stylish and rideable machine, mixing retro custom looks with modern reliability and easy servicing. Would you put it in your garage? Follow this link if you want to watch other Kawasakis commissioned by Cafe Racer Dreams. Click here if you would like to read the full article that Bike Exif wrote about CRD34 a Cafe Racer Kawasaki.